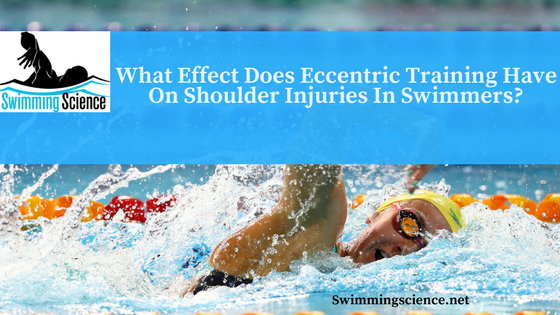 Blog What Effect Does Eccentric Training Have On Shoulder Injuries In Swimmers? 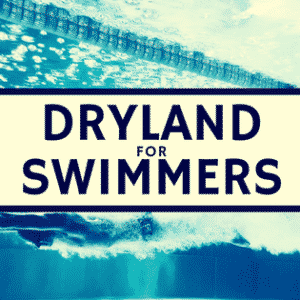 Shoulder injuries are the most common site of injury in swimming. Specifically, shoulder impingement is the most common injury, commonly called swimmer’s shoulder. Eccentric exercises have recently been found beneficial in tendon injuries, especially in the hip and ankle. Tendon degeneration occurs in subacromial impingement and heavy eccentric loading is believed to increase collagen production. Research of the shoulder with heavy eccentric exercises is lacking, but associations suggest that heavy eccentric exercise should improve shoulder impingement. Maenhout et al. looked to examine the superior value of adding heavy load eccentric training to conservative rehabilitation in regards to strength and decreasing pain and dysfunction. Sixty-one patients with subacromial impingement were randomly assigned to the traditional rotator cuff training (TT) or traditional rotator cuff training with heavy load eccentric training (ET). Isometric strength of abduction at 0, 45 and 90 of scapular abduction and internal/external rotation was measured. The SPADI questionnaire was used to measure shoulder pain and function. Outcomes were assessed at baseline, at 6 and 12 weeks after starting the intervention. The traditional rotator cuff training performed rotator cuff strengthening exercises 1x/day and the rotator cuff training and eccentric training group performed normal rotator cuff training 1x/day and heavy load eccentric exercise training 2x/day for 12 weeks with 9 physiotherapy treatments. Improvements in abduction strength were greater in all directions in both groups, and the TT + ET group showed 15% higher gain in abduction strength at 90 degrees. Self-rated perception of improvement was similar in both groups. These results are promising for rehabilitation for subacromial impingement. This is one of the first randomized studies comparing different rehabilitation protocols. The improvement in strength is promising, but the mechanism is still unknown in regards to the difference in tendon before and after training. This study suggests adding heavy eccentric exercises in a combination of traditional physical therapy rehabilitation is beneficial for improving strength during shoulder abduction. 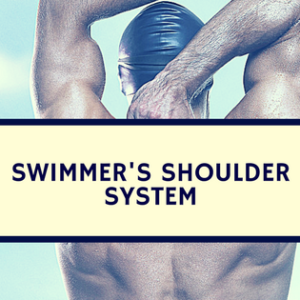 This is essential for swim coaches as shoulders are commonly injured and must be monitored. Unfortunately, youth athletes commonly have secondary impingement our internal impingement of the infraspinatus, not the supraspinatus. 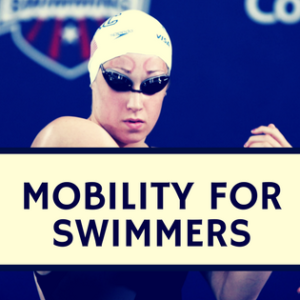 Therefore, it is important to realize not all impingements are the same and subacromial impingement is unlikely for young swimmers. Also, the TT + ET group trained twice a day, potentially leading to greater improvement. Maenhout AG, Mahieu NN, De Muynck M, De Wilde LF, Cools AM. Does adding heavy load eccentric training to rehabilitation of patients with unilateral subacromial impingement result in better outcome? A randomized, clinical trial. Knee Surg Sports Traumatol Arthrosc. 2012 May 12.